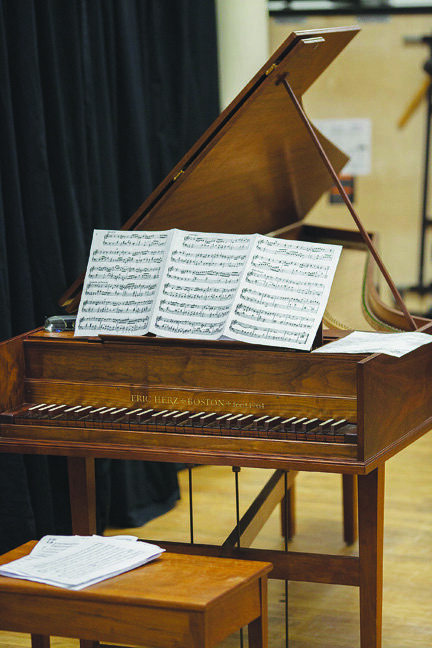 The Sunday Afternoons at the EAC series, a winter offering of informal and interactive programs every Sunday at 3 pm at Eastport Arts Center, will continue February 10 with Gregory Biss’ popular annual Harpsichord Hour. This year, Biss will present “Bach, Bach and More Bach”, playing on EAC’s harpsichord, an 18th century style, single-manual instrument, built in 1964 by Eric Herz in Cambridge, Massachusetts. Biss was born in Illinois and educated in New England and Germany. His music has been performed by the Denver Symphony, the Los Angeles Philharmonic and the Vermeer Quartet. Retired from a 20-year career as a scuba diver in the aquaculture industry, Biss remains active as a piano technician and as a faculty member at Summer Keys in Lubec. He is currently President of the EAC Board. Sunday Afternoon programs are held downstairs at the EAC. Hot drinks and refreshments are offered; donations are gratefully accepted. The series will run through April, skipping Easter Sunday. For more information, and to view the rest of the series lineup, please visit eastportartscenter.org/constituent-groups/the-concert-series/. The Eastport Arts Center is at 36 Washington Street, Eastport, and is handicapped-accessible.